A no-less-extraordinary band backs him up, includ- ing Burniss Travis (bass), Shedrick Mitchell (keys), Charles Haynes (drums), and Nir Felder (guitar). Based in Brooklyn, Travis is a fluent player reared in the tradition by none other than Stefon Harris, and has played with the likes of Roy Hargrove and Q-Tip. Keyboardist Shedrick Mitchell similarly balances musical worlds with aston- ishing ease, and has played or recorded with Queen Lati- fah, Kenny Garrett, and Raul Midón. Based in New York, drummer Charles Haynes is a graduate of the Berklee College of Music, and has toured with Kanye West, Patti Labelle, and MIA, among others. Nir Felder—“the next big jazz guitarist,” according to NPR—bends rules with everyone from Esperanza Spalding, Jack DeJohnette, and Snarky Puppy. Noted Dutch composer and trumpet/fluegelhorn player Oliver Groenewald is set to stun with his nonet of Seattle jazz players. The NewNet band is a “little big band” of accomplished musicians who display great dynamic unity, while creating space for each musician to shine. The band includes Brad Allison on trumpet and flugelhorn; Dan Marcus on trombone; Jay Thomas on reeds/trumpet; Travis Ranney, Pete Gallio, and Greg Sinibaldi on reeds; John Hansen on piano; Michael Glynn on bass; and Adam Kessler on drums. Their performance will feature original compositions by Groenewald as well as selections from their new CD, I Always Knew. Expect European-influenced music that soars beyond its source with layers of fresh, energetic music. Groenewald was born in Germany where his talent bloomed. He was a member of the NDR Big Band, and made two albums with a prior incarnation of the NewNet band. Once in the US, Groenewald learned arranging with Chuck Israels and studied trumpet with Willie Thomas. Currently, Groenewald lives with his family on Orcas Island. Multi-instrumentalist and Seattle native Jay Thomas grew up immersed in the city’s jazz scene of the ’60s. After a stint in New York, where he was taught by the famed trumpet player Carmine Caruso, Thomas returned to Seattle. A prolific musician, Thomas has played on more than 60 albums and tours worldwide. He’s a member of two Japanese bands, has a band called “The Cantaloupes,” and is a member of the SRJO. He teaches at Garfield High and at Cornish College of the Arts. It will be a spacy and trippy night with Seattle’s jazz-ish psych trio Afrocop, which is influenced by early sci-fi soundtracks, film noir, and improve. Heading the harmonies for the band once referred to as “Industrial Revelation’s introverted and more psychedelically inclined cousin” (The Stranger) is composer and keyboardist Noel Brass, Jr. Since his solo album Broken Shadows was released last year, Brass has risen on the scene to become the city’s most in-demand synth-whisperer. This evening, Brass’s notable counterparts are Carlos Tulloss (Screens) on bass and baritone guitar and Andy Sells (Select Level) on drums, with accompanying visuals by John Theroux. Together, they doesn’t deal with the blues or traditional jazz convention. Instead, the trio relies on improvisational intuition and their instrumental chops. It’s an experiment of exploring the abstract, inner spaces of the mind. Each performance is unique in its achievement, every sound a chance for discovery. Opening: International vinyl by DJ Paces Lift. A local sample-flipping favorite, the hip-hop wielding beat maker resurrects grooves of the Pacific Southeast in an all-wax set. This industrious creative also masterminds Seattle’s specialty label Wax Thematique, through which he and his collaborators have self-released two albums inspired by the global sounds of Thai funk, Afrobeat, Eastern soul, tropical jazz, and more. The engaging, canny alto saxophonist and composer, who took top Rising Star honors in a DownBeat Critics Polls, presents her increasingly acclaimed creations with her “Heart Tonic” project featuring New York drummer Jay Sawyer and fine Seattle accompanists, bassist Evan Flory-Barnes and keyboardist Tim Kennedy. Singapore-born, Brooklyn-based composer, saxophonist, and educator, Caroline Davis has come to be an active leader and sidewoman in the national jazz scene. She has shared musical moments with diverse musicians, among them Matt Wilson, Ellis Marsalis, Matt Mitchell, Randy Brecker, Bobby Broom, Ron Miles, and Allison Miller. Aside from her own quintet, she collaborates regularly with R&B indie band Maitri, and has been a regular of many outfits including Whirlpool, Billy Kaye Quintet, Paul Bedal Quintet, and the Chicago Jazz Orchestra. Her debut album, Live Work & Play, was featured on All About Jazz’s best releases of 2012, and she was named one of JazzTimes’ Best New Artists that same year. Her sophomore album, Doors: Chicago Storylines, was an audio documentary that honors her eight-year stint in Chicago prior to Brooklyn, uniquely setting stories from Chicago’s jazz scene from the ‘80s and ‘90s alongside her music. As an educator, Davis brings her vast knowledge of music and psychology to her teaching, as she acquired a PhD in music cognition at Northwestern University in 2010. She has been on the faculty at Litchfield Jazz Camp for the past 10 years, and has been a guest educator at Northwestern, University of Colorado at Boulder, Columbia College, DePaul University, Jazz at Lincoln Center, and many other programs. She has also participated in several jazz mentorship programs, including IAJE’s Sisters in Jazz and the Kennedy Center’s Betty Carter Jazz Ahead program. It would be difficult to imagine a more well-matched pair of talents than pianist Ethan Iverson and tenor saxophonist Mark Turner. The two musicians have maintained a long association stretching back to the ‘90s, but are now making their first foray into playing as a duo. On their new ECM album, Temporary Kings, Iverson and Turner probe deeply into modernist, chamber music-like structures and wide-ranging improvisational webs, informed by keen intellect and idiosyncratic journeys in search of their own unique voices. Iverson’s singular feel for bracing modern piano textures layered with a broad spectrum of deep jazz knowledge is the perfect foil for Turner’s airy and uniquely expressive sound and approach. At times coolly cerebral, but forged with a hot core of jazz inspiration, their duo performances are unlike anything else on the current creative music scene. Pianist, composer, and writer Ethan Iverson was a founding member of The Bad Plus, a paradigm-shifting piano trio that pulled new, younger audiences into the jazz fold, and rode a wave of major label momentum over their 17-year run. In addition to more than a decade sharing the bandstand with Turner in the critically acclaimed Billy Hart Quartet, Iverson has appeared with jazz royalty such as Ron Carter and Albert “Tootie” Heath. Other collaborators include Joshua Redman, Bill Frisell, and the Mark Morris Dance Group. Not only a remarkable performer but also a keen observer and theoretician, Iverson’s website “Do the Math” has for over 15 years been a treasure trove of musician interviews and well-informed analysis, culminating in recent writings for the esteemed New Yorker magazine. It’s arguably not an overstatement to call Mark Turner the most influential saxophonist of the past 20 years. Not since Michael Brecker has a saxophonist been as widely imitated by new generations of musicians. While Brecker updated and extended parts of the language passed on from John Coltrane, Turner has defined an entirely different direction. With an understated but equally deep conceptual foundation, Turner draws more from the realm of the Warne Marsh/Lennie Tristano school, with a touch of Joe Henderson’s clear, intentional tone and control. Though Turner doesn’t share an immediately obvious affinity with Coltrane, the two do have something in common: a dedication to exploring new realms of expression, and an almost spiritual intensity of approach. Opening: Vocalist (and Cornish professor) Johnaye Kendrick has been championed by heavy hitters such as Nicholas Payton, Terence Blanchard, and Ellis Marsalis, and in the Pacific Northwest she’s nothing short of a treasure. Though her skill and feel for the jazz tradition is impeccable, Kendrick’s new album Flying displays everything a versatile and exploratory modern musician should be, with aspirations and interests that range far afield into soulful R&B, Latin groove, stripped-down folkish simplicity, and reimagined transformations of pop and rock. Kendrick has breathtaking technical skills, but what sets her apart is her ability to pull the listener into her world with an intimacy that very few vocalists can achieve, a talent that has nothing to do with chops or genre and everything to do with humanity, positivity, and communication. She feels deeply what she’s singing about and inhabits her music with a grounded authority and authenticity. Accompanying Kendrick is her flexible and sensitive trio of Seattle stalwarts: Bill Anschell (piano), Chris Symer (bass), and D’Vonne Lewis (drums). The quirky guitarist and idiosyncratic vocalist have “a unique sound” (NPR Mountain Stage) that elevates Glass’ “voice that must be heard to be believed” (Nels Cline). Their award-winning “jazz Americana” evokes great plains and small lives; their Brazilian bossa nova resounds with the vibrant parades and bronzed beaches of Rio. Their collaboration has been a huge success. It has taken them to New York City’s Lincoln Center, where their novelty and freshness stunned audiences and won them the 2014 Grand Prize of the International Mountain Stage NewSong Competition. Glass and Hatt have gone on to perform in many high-profile settings, such as the Kennedy Center in Washington, D.C., and Wilco’s Solid Sound Festival. But they did not spirit their success out of thin air. Both had steeped themselves in jazz and other American idioms in their youth and since. Hatt, a Chicagoan, had studied jazz guitar at Indiana University and taken classes from Pat Metheny, Lee Ritenour, and others. Glass, the daughter of a jazz trombonist, had taught herself to sing in Portuguese by studying an obscure Nara Leão album as well as a host of other vocalists as distinctive as she would become. This evening, they are accompanied in the sonically friendly Royal Room by a peerless Seattle bassist, Clipper Anderson. Expect transport and delight. Described by critic Scott Yanow as “the most influential saxophonist on pop, R&B, and crossover players of the past 20 years,” David Sanborn has transcended genres and musical boundaries throughout his career. Steadily forging new possibilities for jazz, Sanborn has been recognized with six Grammy Awards, and nine gold or platinum albums.He continues to be one of the most active musicians of his genre, defined as an artist who pushes the limits and continues to make music that challenges the mind and goes straight to the heart. Sanborn has collaborated with popular artists as diverse as Stevie Wonder, David Bowie, Todd Rundgren, Bobby Charles, Roger Waters, Esther Phillips, James Brown, and Ween. In 2014 he released Enjoy the View with Bobby Hutcherson, Joey DeFrancesco, and Billy Hart. The following year he reunited with Marcus Miller for their first collaboration in 15 years: Time & the River features Sanborn in a large group setting with guest vocals by Randy Crawford and Tower of Power’s Larry Braggs. On this tour, Sanborn, with his alto saxophone style that is “forceful and tender, sensuous and subtle” (NY Times), revisits his passion for straight-ahead jazz with a stunning band: Wycliffe Gordon (trombone), Billy Kilson (drums), Andy Ezrin (piano/keyboards), and Ben Williams (bass). Presented by AEG & Madison House. No jazz release in years has hit with the instant impact and broad appeal of Kamasi Washington’s 2015 debut, The Epic. The album was indeed epic in both length and concept: ambitious yet accessible, the sprawling 3-hour opus topped numerous year-end “Best Of” lists, and opened up new realms of jazz awareness in segments of the population who previously were not tuning in. The tenor saxophonist/composer/conceptualist has developed at a relentless pace, from appearing with elder statesmen legends such as Stanley Clarke and Harvey Mason, to collaborating extensively with Kendrick Lamar on his To Pimp a Butterfly album. Washington also functions as a key member of the vital L.A. creative music scene centered around Flying Lotus’s Brainfeeder record label, which includes bassist and longtime associate, Thundercat. Washington recently released Heaven and Earth, another hugely ambitious release, which Pitchfork called “a multi-genre feast of musical ideas, his most sweeping and complete statement yet.” To some degree, the album is an extension of ideas laid out on The Epic: sprawling, longform textures built on thick, percolating grooves powered by double rhythm sections, choirs, orchestras, and bubbling electronics, interwoven with brilliant solos and vocal interludes. The overall effect is thoroughly cinematic in scope, and, like film, the work rewards patient attention and full immersion. This is jazz of the moment, for the current era, funneled and formed by an artist of deep vision and open ears, whose true essence is best heard in the moment of creation. Victor has eight much-lauded albums under her belt, and as well as performing worldwide, she has taught at prestigious schools such as the Amsterdam Conservatory and UC Berkley. Currently she teaches at the New York Jazz Workshop. Victor brings to the 2018 Earshot Jazz Festival her project SoundNoise Trio. Organized by Victor, this trio, which includes drummer Reggie Nicholson and soprano saxophonist Sam Newsome, was birthed with an aim to create a space to showcase each artist’s compositional powers and abilities with free improvisation. 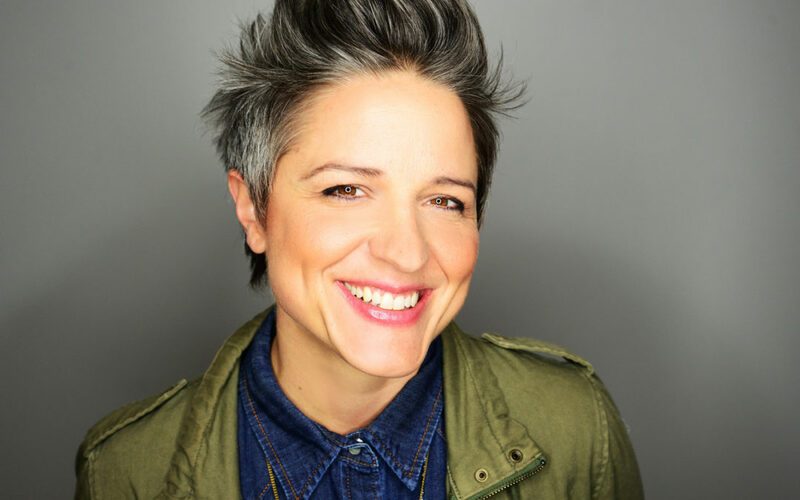 An extremely busy player with an irrepressible spirit, drummer and composer Allison Miller is certain to leave a big impression with her jazz project Boom Tic Boom. Miller has been the rhythmic force behind a stream of mainstream and jazz artists alike, from singer-songwriters Natalie Merchant and Brandi Carlile to organ legend Dr. Lonnie Smith and avant-garde trailblazer Marty Ehrlich. Additionally, the Brooklyn-based drummer has been spotted in the band on “Late Night with Seth Meyers” and is a three-time Jazz Ambassador for the U.S. State Department. Where she really flies is in her own projects. Miller’s fierce clarity and nuanced writing make for original music comprised as much of melodic inventiveness as rhythmic probing. Boom Tic Boom’s self-titled debut was voted “Top 10 Jazz Albums of 2010” (LA Times). Miller’s core trio continued to record, expanding to an intriguing sextet for 2016’s Otis was a Polar Bear. Now celebrating an upcoming studio release, Glitter Wolf, Boom Tic Boom embarks on a two-week tour to play old favorites and preview fresh tunes. Special pre-release material will be available. The virtuosic lineup sees Miller’s longtime collaborators Jenny Scheinman (violin), Ben Goldberg (clarinet), and Kirk Knuffke (cornet), with Tony Scherr (bass) and Seattle’s beloved Dawn Clement (piano). Co-presented with University of Washington. Ted Poor, the “adventurous, truly dynamic, and forward-thinking” leader (Modern Drummer), appears with commanding, innovative pianist Kris Davis and bassist Tyler Chester, in search of jazz of this moment. A drumming professor of jazz and improvisational music and an Artist in Residence at the University of Washington (he has also had residencies at Eastman School of Music, Berklee College of Music, Cal Arts, Lawrence University, the University of Oregon, and the HR Big Band of Frankfurt), Poor has been a go-to percussionist for artists around the world since the early 2000s. At last year’s Earshot festival, he performed in the trio led by Greg Sinibaldi that opened for New York guitar experimentalist Elliott Sharp’s explorations of the compositions of Thelonious Monk. Poor has appeared on dozens of recordings, including the recent Andrew Bird album Are You Serious alongside renowned guitarist Blake Mills, bassist Alan Hampton, and producer Tony Berg. Additionally, he’s a member of several renowned bands, including Grammy Award-winning trumpeter Cuong Vu, guitarist Ben Monder, Bad Touch, and the Respect Sextet, and has performed on stage as a sideman with Bill Frisell, Chris Thile, Kurt Rosenwinkel, Mark Turner, Chris Potter, Kenny Werner, Maria Schneider, Aaron Parks, Ralph Alessi, and others. The Ted Poor Trio isn’t the drummer/composer’s only experience as a bandleader. Trier Records released his first record as a bandleader, titled All Around, in 2005. He also formed Mt. Varnum, a project that combines his love of deep swing and indie rock, that cumulated in the release, Wounded Caroline. Alongside Ben Monder and Ralph Alessi, he founded the trio Third Wheel. 2015 saw the release of Amateur Dentist on Pirouet Records, an album he recorded with Matt Penman and Joris Roelofs. George Colligan is a multi-instrumentalist who has played with great artists (Cassandra Wilson, Ravi Coltrane, and Tom Harrell, to name but a few) and who creates remarkable art. A recipient of a Chamber Music America/Doris Duke Foundation grant, Colligan is primarily known for his performance as a pianist, but is also noted for his work as an organist, drummer, trumpeter, teacher, and bandleader. With more than 20 recordings of his own and contributions on more than 100 albums, Colligan can lay claim to being a highly generative musician. Famed jazz fusion drummer Lenny White is an exceptional bandleader and sideman, most renowned for his work with such icons as Miles Davis. He is a Grammy Award-winner who has rounded out his career with scoring film music and producing. Co presented with Cornish Presents. Vocalist, composer, performer dancer, and multi-instrumentalist Jen Shyu achieves an extraordinary feat of solo performance in this multi-dimensional window on her world. Vocalist, composer, performer, dancer, and multi-instrumentalist Jen Shyu achieves an extraordinary feat of solo performance in this multi-dimensional window on her world. “The singer Ms. Shyu represents a new kind of improviser-composer-ethnomusicologist hybrid,” writes the New York Times.Her latest project, Nine Doors, explores the boundaries of the personal and the ritual in a virtuosic polyphony of language, sound, and gesture. The idea for the project came from the tragic death of her friend, the Indonesian percussionist and puppeteer Sri Joko Raharjo, in a car crash, along with his wife and young son. Shyu casts the accident’s sole survivor, Raharjo’s 6-year-old daughter, as the main character of Nine Doors. Her journey becomes the starting point for an enactment of time and myth as the audience encounters legends of East Asian folklore, sung in Indonesian Javanese, Taiwanese, Mandarin, Tetum, Korean, Japanese, and English. Born to Taiwanese and East Timorese parents in Peoria, Illinois, Shyu was a piano prodigy who graduated from Stanford University studying opera and trained in classical violin and ballet. She has studied traditional music in Taiwan, China, South Korea, East Timor, and elsewhere, receiving numerous commissions and prizes for her studied and poetic works including the 2016 Doris Duke Foundation Award.